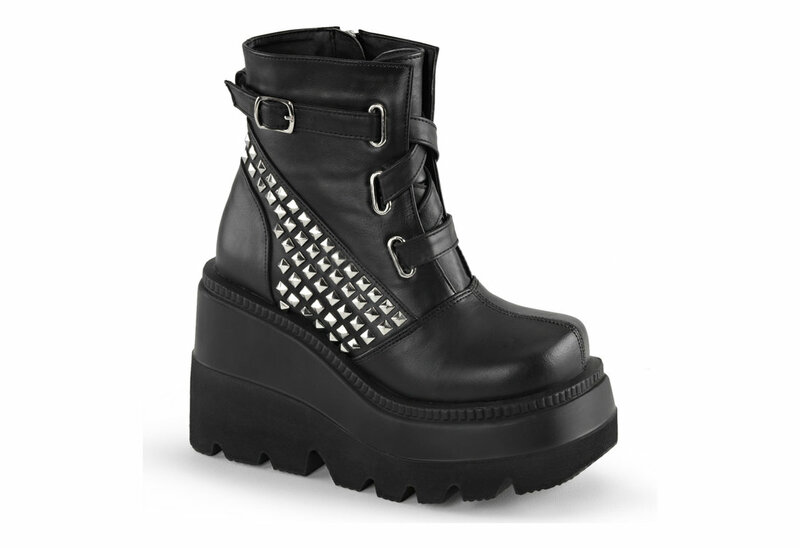 These amazing looking Gothic platform boots have silver pyramid studs running up the sides. 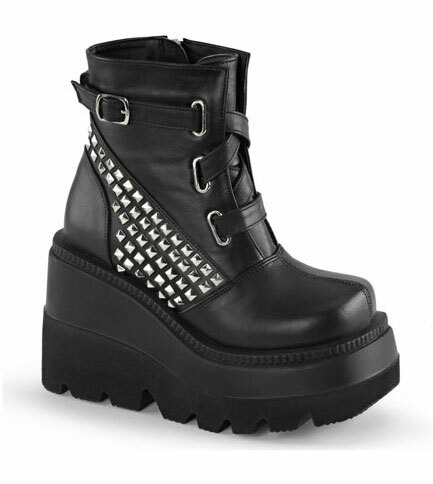 The front laces up with a buckle strap and has a full inner zipper on the side. The platform is a two layer 4 1/2 inch rigid stacked wedge. They look amazing with trousers or a skirt.